In a speech before signing the $716 billion Pentagon funding bill, President Donald Trump praised the US military and the “finest” weapons anywhere in the world, but made no references to his critic after whom the bill was named. 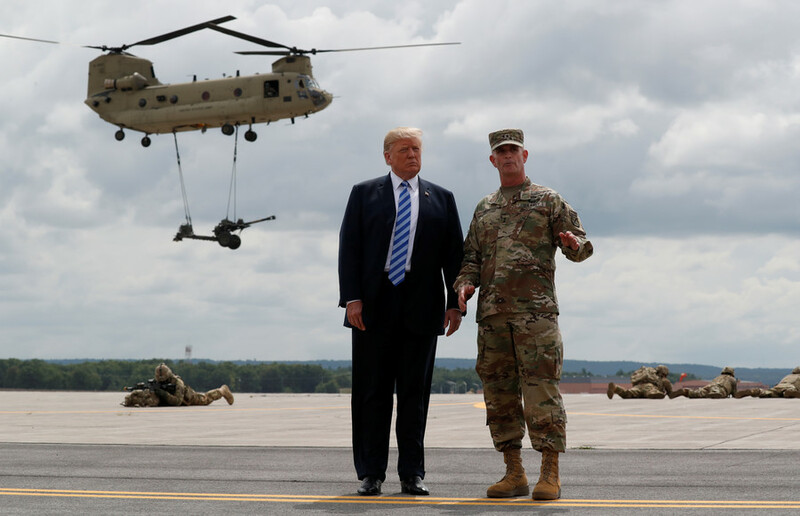 “After years of devastating cuts, we’re now rebuilding our military like we never have before,” Trump told members of the 10th Mountain Division at Fort Drum, New York on Monday. 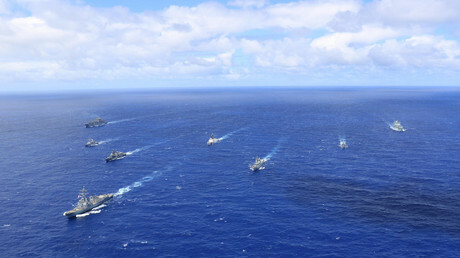 The 2019 National Defense Authorization Act (NDAA) approves pay raises for members of the military, as well as funding for new weapons, ships, planes and modernizing the US nuclear arsenal. He then went on to single out the planned purchase of 135 M1 Abrams tanks, 60 Bradley fighting vehicles, over 3,000 new joint light tactical vehicles (JLTV), Apache and Blackhawk helicopters, and 77 new F-35 fighters. The Army doesn’t actually operate any F-35s, though. Even if it did, the fifth-generation fighter continues to be plagued by design, performance and maintenance problems, while also being one of the most expensive weapons programs ever devised. Oshkosh L-ATV (Light Combat Tactical All-Terrain Vehicle), scheduled for delivery in 2019, are the only truly new weapons system. They are intended to give the troops more protection against roadside bombs, and will partially replace the 1980s HMMWV (Humvee). Trump gave the speech in front of an AH-64 Apache attack helicopter, which was introduced in 1986. The utility Blackhawk has been around since 1979. The first M1 Abrams tanks were introduced in 1980, with M2 Bradley infantry fighting vehicles following in 1981. All of these systems have been modernized and upgraded since, but their basic platforms are hardly new. The 2019 NDAA lists almost $6.5 billion for upgrading nuclear warheads and bombs, ground- and sea-based missiles, as well as developing new air-launched nuclear missiles and the B-21 Raider bomber capable of firing them. According to a 2017 Congressional Budget Office (CBO) estimate, modernizing the US nuclear arsenal would cost $1.2 trillion by 2046. Both the House and the Senate passed the NDAA with overwhelming majorities last month, for the first time in nearly two decades ahead of the October start of the new fiscal year. At no time on Monday did Trump mention that the bill was named after Senator John Sidney McCain, the Arizona Republican who has chaired the Senate Armed Services Committee since 2015. A vocal critic of Trump, McCain revealed last year that he was suffering from an aggressive form of brain cancer and had only months to live. He returned to the Senate in July 2017 to cast a deciding vote against repealing Obamacare, but has mostly stayed at home in Arizona since.